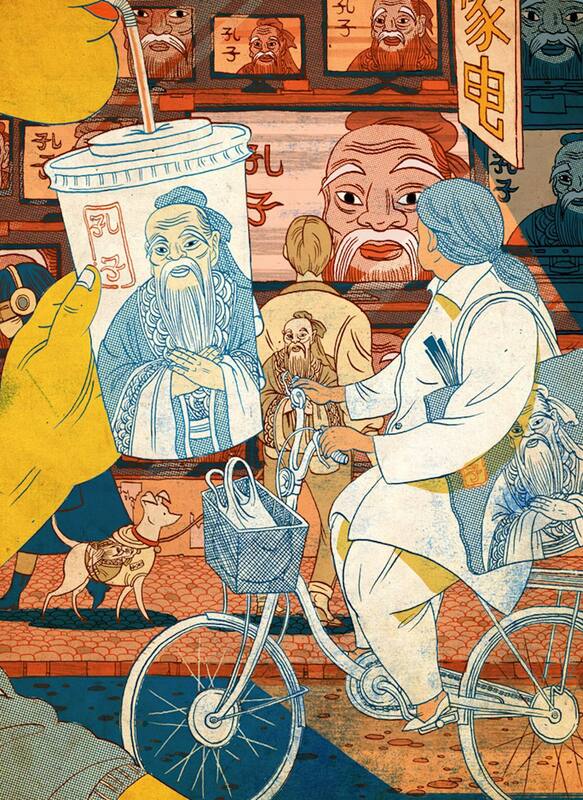 Victo Ngai is a Los Angeles based illustrator from Hong Kong, who graduated from the Rhode Island School of Design. “Victo” is not a boy nor a typo, but a nickname derived from Victoria – a leftover from the British colonization. 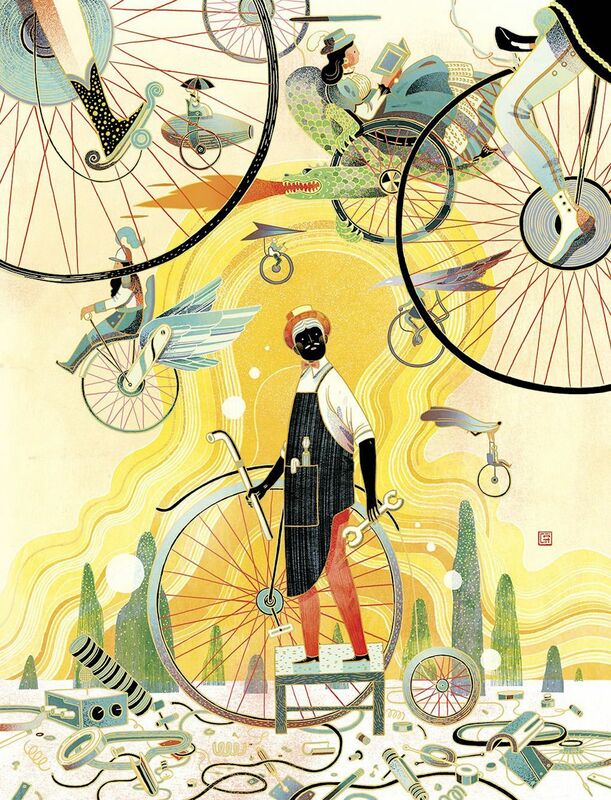 In almost a Klimt like fashion, Ngai’s cycling illustrations depict the bike mechanic and rider that spans both the Middle-East and the Orient. 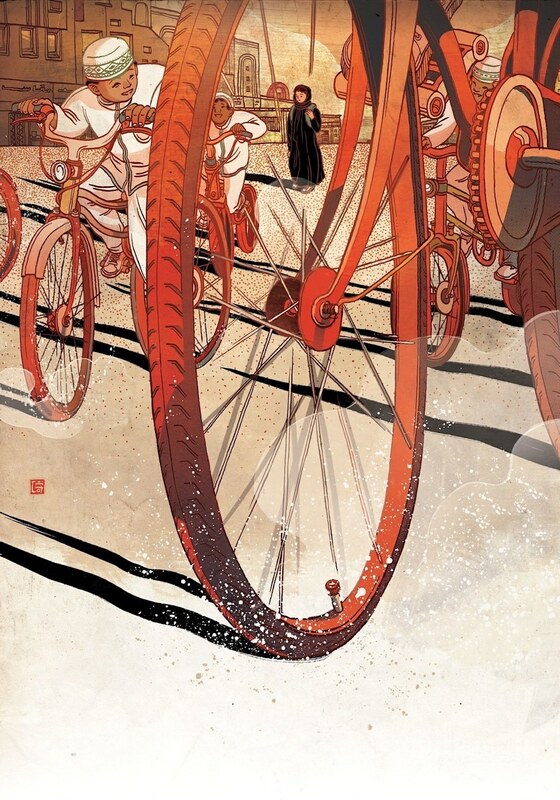 In one particular case, Ngai’s work draws its inspiration from the film Wadjda, which tells the story of a young girl in Saudi Arabia who dreams of owning a green bicycle that she passes in a store each day on her way to school. However, riding bikes is frowned upon for girls in her country. And, for that reason, Wadjda’s mother refuses to buy it for her. The story goes on to tell about how Wadjda decides to participate in a Quran recital competition, which features a cash prize that would allow her to buy the bike. 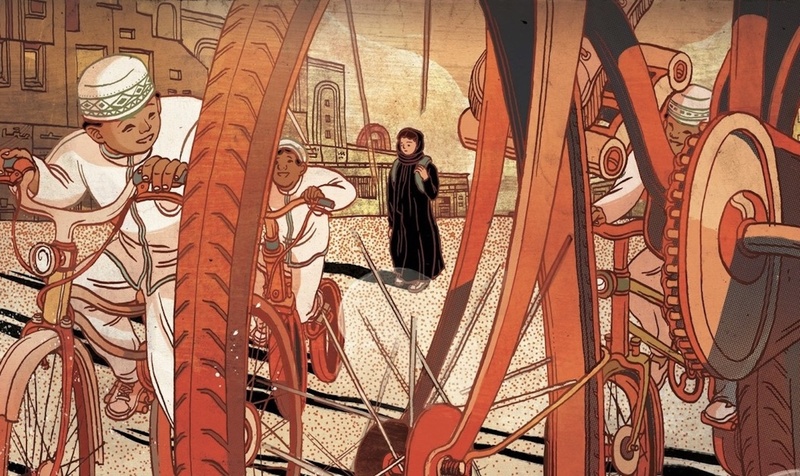 Wadjda’s ability to memorize the verses ultimately wins her the competition, afterwards announcing her desire to buy a bicycle with the prize money. The school instead informs her that the money will be donated to Palestine. From there, the story goes on to weave a powerful tale that involves family, sadness and loss that’s eventually redeemed by Wadjda getting her coveted green bicycle.